When Milutin ‘Micho’ Sredojevic took over at the beginning of the season, he emphasised the importance of playing for the club’s badge following last season’s disastrous campaign. The Soweto giants finished outside the top eight for the first time in the PSL era and although they reached the Nedbank Cup final, they were thrashed 4-1 by a ruthless Supersport United side at Moses Mabhida Stadium. However, it seems all is falling into place with Micho at the helm and second-placed Bucs are now one point behind leaders Mamelodi Sundowns on the Absa Premiership, making the title race interesting heading into the final stages of the campaign. Sundowns do, however, have a game in hand. Pirates’ 2-1 victory over Golden Arrows last weekend was their fourth in a row, the first time they achieve this since 2014/15. “It’s important to play for the badge,” said Lorch, who scored the opening goal in Durban against Abafana Bes’Thende. 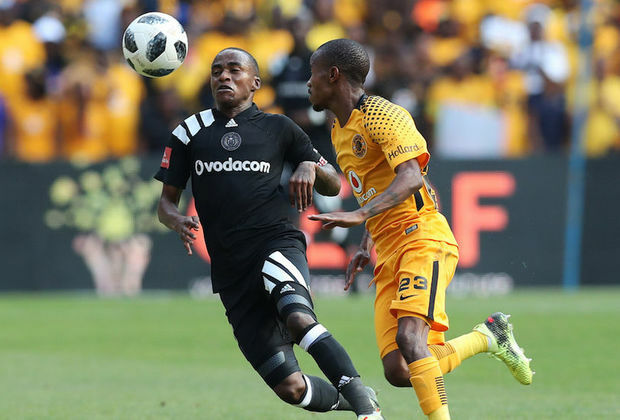 The international break could affect the team’s momentum, with Bloemfontein Celtic next on their schedule at Orlando Stadium on April 4 in the league. However, Lorch, who along with left back Innocent Maela is part of Bafana squad currently in Zambia for a four nations tournament, insists that’ll not have an impact on the team’s focus. “For us now it's to focus on our game, and play the game that we know and take it one game at the time,” he added.